The mouse was conceived by the computer scientist Douglas Engelbart, developed by Xerox PARC, and made marketable by Apple. The mouse was conceived by the computer scientist Douglas Engelbart, developed by Xerox PARC, and made marketable by Apple. Xerox PARC was the innovation arm of the Xerox Corporation. It was, and remains, on Coyote Hill Road, in Palo Alto, nestled in the foothills on the edge of town, in a long, low concrete building, with enormous terraces looking out over the jewels of Silicon Valley. To the northwest was Stanford University's Hoover Tower. To the north was Hewlett-Packard's sprawling campus. All around were scores of the other chip designers, software firms, venture capitalists, and hardware-makers. A visitor to PARC, taking in that view, could easily imagine that it was the computer world's castle, lording over the valley below - and, at the time, this wasn't far from the truth. In 1970, Xerox had assembled the world's greatest computer engineers and programmers, and for the next ten years they had an unparalleled run of innovation and invention. If you were obsessed with the future in the seventies, you were obsessed with Xerox PARC - which was why the young Steve Jobs had driven to Coyote Hill Road. Apple was already one of the hottest tech firms in the country. Everyone in the Valley wanted a piece of it. So Jobs proposed a deal: he would allow Xerox to buy a hundred thousand shares of his company for a million dollars - its highly anticipated IPO was just a year away - if PARC would "open its kimono." A lot of haggling ensued. Jobs was the fox, after all, and PARC was the henhouse. What would he be allowed to see? What wouldn't he be allowed to see? Some at PARC thought that the whole idea was lunacy, but, in the end, Xerox went ahead with it. One PARC scientist recalls Jobs as "rambunctious" - a fresh-cheeked, caffeinated version of today's austere digital emperor. He was given a couple of tours, and he ended up standing in front of a Xerox Alto, PARC's prized personal computer. An engineer named Larry Tesler conducted the demonstration. He moved the cursor across the screen with the aid of a "mouse." Directing a conventional computer, in those days, meant typing in a command on the keyboard. Tesler just clicked on one of the icons on the screen. He opened and closed "windows," deftly moving from one task to another. He wrote on an elegant word-processing program, and exchanged e-mails with other people at PARC, on the world's first Ethernet network. Jobs had come with one of his software engineers, Bill Atkinson, and Atkinson moved in as close as he could, his nose almost touching the screen. "Jobs was pacing around the room, acting up the whole time," Tesler recalled. "He was very excited. Then, when he began seeing the things I could do onscreen, he watched for about a minute and started jumping around the room, shouting, 'Why aren't you doing anything with this? This is the greatest thing. This is revolutionary!' "
Xerox began selling a successor to the Alto in 1981. It was slow and underpowered - and Xerox ultimately withdrew from personal computers altogether. Jobs, meanwhile, raced back to Apple, and demanded that the team working on the company's next generation of personal computers change course. He wanted menus on the screen. He wanted windows. He wanted a mouse. The result was the Macintosh, perhaps the most famous product in the history of Silicon Valley. "If Xerox had known what it had and had taken advantage of its real opportunities," Jobs said, years later, "it could have been as big as IBM plus Microsoft plus Xerox combined - and the largest high-technology company in the world." After Jobs returned from PARC, he met with a man named Dean Hovey, who was one of the founders of the industrial-design firm that would become known as IDEO. "Jobs went to Xerox PARC on a Wednesday or a Thursday, and I saw him on the Friday afternoon," Hovey recalled. "I had a series of ideas that I wanted to bounce off him, and I barely got two words out of my mouth when he said, 'No, no, no, you've got to do a mouse.' I was, like, 'What's a mouse?' I didn't have a clue. So he explains it, and he says, 'You know, [the Xerox mouse] is a mouse that cost three hundred dollars to build and it breaks within two weeks. Here's your design spec: Our mouse needs to be manufacturable for less than fifteen bucks. It needs to not fail for a couple of years, and I want to be able to use it on Formica and my bluejeans.' From that meeting, I went to Walgreens, which is still there, at the corner of Grant and El Camino in Mountain View, and I wandered around and bought all the underarm deodorants that I could find, because they had that ball in them. I bought a butter dish. That was the beginnings of the mouse." I spoke with Hovey in a ramshackle building in downtown Palo Alto, where his firm had started out. He had asked the current tenant if he could borrow his old office for the morning, just for the fun of telling the story of the Apple mouse in the place where it was invented. The room was the size of someone's bedroom. It looked as if it had last been painted in the Coolidge Administration. Hovey, who is lean and healthy in a Northern California yoga-and-yogurt sort of way, sat uncomfortably at a rickety desk in a corner of the room. "Our first machine shop was literally out on the roof," he said, pointing out the window to a little narrow strip of rooftop, covered in green outdoor carpeting. "We didn't tell the planning commission. We went and got that clear corrugated stuff and put it across the top for a roof. We got out through the window." He had brought a big plastic bag full of the artifacts of that moment: diagrams scribbled on lined paper, dozens of differently sized plastic mouse shells, a spool of guitar wire, a tiny set of wheels from a toy train set, and the metal lid from a jar of Ralph's preserves. He turned the lid over. It was filled with a waxlike substance, the middle of which had a round indentation, in the shape of a small ball. "It's epoxy casting resin," he said. "You pour it, and then I put Vaseline on a smooth steel ball, and set it in the resin, and it hardens around it." He tucked the steel ball underneath the lid and rolled it around the tabletop. "It's a kind of mouse." The hard part was that the roller ball needed to be connected to the housing of the mouse, so that it didn't fall out, and so that it could transmit information about its movements to the cursor on the screen. But if the friction created by those connections was greater than the friction between the tabletop and the roller ball, the mouse would skip. And the more the mouse was used the more dust it would pick up off the tabletop, and the more it would skip. The Xerox PARC mouse was an elaborate affair, with an array of ball bearings supporting the roller ball. But there was too much friction on the top of the ball, and it couldn't deal with dust and grime. At first, Hovey set to work with various arrangements of ball bearings, but nothing quite worked. "This was the 'aha' moment," Hovey said, placing his fingers loosely around the sides of the ball, so that they barely touched its surface. "So the ball's sitting here. And it rolls. I attribute that not to the table but to the oldness of the building. The floor's not level. So I started playing with it, and that's when I realized: I want it to roll. I don't want it to be supported by all kinds of ball bearings. I want to just barely touch it." The trick was to connect the ball to the rest of the mouse at the two points where there was the least friction - right where his fingertips had been, dead center on either side of the ball. "If it's right at midpoint, there's no force causing it to rotate. So it rolls." Hovey estimated their consulting fee at thirty-five dollars an hour; the whole project cost perhaps a hundred thousand dollars. "I originally pitched Apple on doing this mostly for royalties, as opposed to a consulting job," he recalled. "I said, 'I'm thinking fifty cents apiece,' because I was thinking that they'd sell fifty thousand, maybe a hundred thousand of them." He burst out laughing, because of how far off his estimates ended up being. "Steve's pretty savvy. He said no. Maybe if I'd asked for a nickel, I would have been fine." Here is the first complicating fact about the Jobs visit. In the legend of Xerox PARC, Jobs stole the personal computer from Xerox. But the striking thing about Jobs's instructions to Hovey is that he didn't want to reproduce what he saw at PARC. "You know, there were disputes around the number of buttons - three buttons, two buttons, one-button mouse," Hovey went on. "The mouse at Xerox had three buttons. But we came around to the fact that learning to mouse is a feat in and of itself, and to make it as simple as possible, with just one button, was pretty important." The same is true of the graphical user interface that so captured Jobs's imagination. Xerox PARC's innovation had been to replace the traditional computer command line with onscreen icons. But when you clicked on an icon you got a pop-up menu: this was the intermediary between the user's intention and the computer's response. Jobs's software team took the graphical interface a giant step further. It emphasized "direct manipulation." If you wanted to make a window bigger, you just pulled on its corner and made it bigger; if you wanted to move a window across the screen, you just grabbed it and moved it. The Apple designers also invented the menu bar, the pull-down menu, and the trash can - all features that radically simplified the original Xerox PARC idea. The difference between direct and indirect manipulation - between three buttons and one button, three hundred dollars and fifteen dollars, and a roller ball supported by ball bearings and a free-rolling ball - is not trivial. It is the difference between something intended for experts, which is what Xerox PARC had in mind, and something that's appropriate for a mass audience, which is what Apple had in mind. PARC was building a personal computer. Apple wanted to build a popular computer. In a recent study, "The Culture of Military Innovation," the military scholar Dima Adamsky makes a similar argument about the so-called Revolution in Military Affairs. RMA refers to the way armies have transformed themselves with the tools of the digital age - such as precision-guided missiles, surveillance drones, and real-time command, control, and communications technologies - and Adamsky begins with the simple observation that it is impossible to determine who invented RMA The first people to imagine how digital technology would transform warfare were a cadre of senior military intellectuals in the Soviet Union, during the nineteen-seventies. The first country to come up with these high-tech systems was the United States. And the first country to use them was Israel, in its 1982 clash with the Syrian Air Force in Lebanon's Bekaa Valley, a battle commonly referred to as "the Bekaa Valley turkey shoot." Israel co�rdinated all the major innovations of RMA in a manner so devastating that it destroyed nineteen surface-to-air batteries and eighty-seven Syrian aircraft while losing only a handful of its own planes. That's three revolutions, not one, and Adamsky's point is that each of these strands is necessarily distinct, drawing on separate skills and circumstances. The Soviets had a strong, centralized military bureaucracy, with a long tradition of theoretical analysis. It made sense that they were the first to understand the military implications of new information systems. But they didn't do anything with it, because centralized military bureaucracies with strong intellectual traditions aren't very good at connecting word and deed. The United States, by contrast, has a decentralized, bottom-up entrepreneurial culture, which has historically had a strong orientation toward technological solutions. The military's close ties to the country' high-tech community made it unsurprising that the US would be the first to invent precision-guidance and next-generation command-and-control communications. But those assets also meant that Soviet-style systemic analysis wasn't going to be a priority. As for the Israelis, their military culture grew out of a background of resource constraint and constant threat. In response, they became brilliantly improvisational and creative. But, as Adamsky points out, a military built around urgent, short-term "fire extinguishing" is not going to be distinguished by reflective theory. No one stole the revolution. Each party viewed the problem from a different perspective, and carved off a different piece of the puzzle. In the history of the mouse, Engelbart was the Soviet Union. He was the visionary, who saw the mouse before anyone else did. But visionaries are limited by their visions. 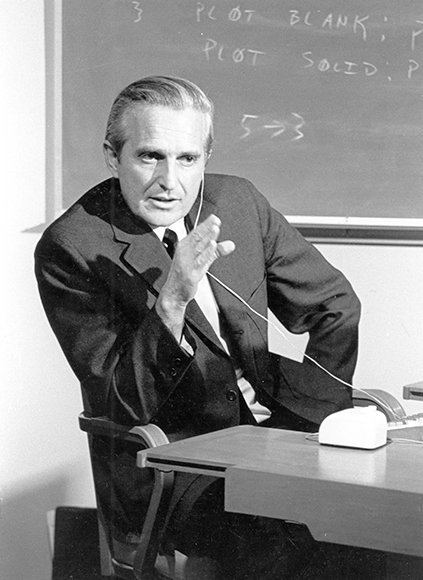 "Engelbart's self-defined mission was not to produce a product, or even a prototype; it was an open-ended search for knowledge," Michael Hiltzik writes, in "Dealers of Lightning" (1999), his wonderful history of Xerox PARC. "Consequently, no project in his lab ever seemed to come to an end." Xerox PARC was the United States: it was a place where things got made. "Xerox created this perfect environment," recalled Bob Metcalfe, who worked there through much of the nineteen-seventies, before leaving to found the networking company 3Com. "There wasn't any hierarchy. We built out our own tools. When we needed to publish papers, we built a printer. When we needed to edit the papers, we built a computer. When we needed to connect computers, we figured out how to connect them. We had big budgets. Unlike many of our brethren, we didn't have to teach. We could just research. It was heaven." But heaven is not a good place to commercialize a product. "We built a computer and it was a beautiful thing," Metcalfe went on. "We developed our computer language, our own display, our own language. It was a gold-plated product. But it cost sixteen thousand dollars, and it needed to cost three thousand dollars." For an actual product, you need threat and constraint - and the improvisation and creativity necessary to turn a gold-plated three-hundred-dollar mouse into something that works on Formica and costs fifteen dollars. Apple was Israel. Xerox couldn't have been IBM and Microsoft combined, in other words. "You can be one of the most successful makers of enterprise technology products the world has ever known, but that doesn't mean your instincts will carry over to the consumer market," the tech writer Harry McCracken recently wrote. "They're really different, and few companies have ever been successful in both." He was talking about the decision by the networking giant Cisco System, this spring, to shut down its Flip camera business, at a cost of many hundreds of millions of dollars. But he could just as easily have been talking about the Xerox of forty years ago, which was one of the most successful makers of enterprise technology the world has ever known. The fair question is whether Xerox, through its research arm in Palo Alto, found a better way to be Xerox - and the answer is that it did, although that story doesn't get told nearly as often. One of the people at Xerox PARC when Steve Jobs visited was an optical engineer named Gary Starkweather. He is a solid and irrepressibly cheerful man, with large, practical hands and the engineer's gift of pretending that what is impossibly difficult is actually pretty easy, once you shave off a bit here, and remember some of your high-school calculus, and realize that the thing that you thought should go in left to right should actually go in right to left. Once, before the palatial Coyote Hill Road building was constructed, a group that Starkweather had to be connected to was moved to another building, across the Foothill Expressway, half a mile away. There was no way to run a cable under the highway. So Starkweather fired a laser through the air between the two buildings, an improvised communications system that meant that, if you were driving down the Foothill Expressway on a foggy night and happened to look up, you might see a mysterious red beam streaking across the sky. When a motorist drove into the median ditch, "we had to turn it down," Starkweather recalled, with a mischievous smile. Lasers were Starkweather's specialty. He started at Xerox's East Coast research facility in Webster, New York, outside Rochester. Xerox built machines that scanned a printed page of type using a photographic lens, and then printed a duplicate. Starkweather's idea was to skip the first step - to run a document from a computer directly into a photocopier, by means of a laser, and turn the Xerox machine into a printer. It was a radical idea. The printer, since Gutenberg, had been limited to the function of re-creation: if you wanted to print a specific image or letter, you had to have a physical character or mark corresponding to that image or letter. What Starkweather wanted to do was take the array of bits and bytes, ones and zeros that constitute digital images, and transfer them straight into the guts of a copier. That meant, at least in theory, that he could print anything. "One morning, I woke up and I thought, Why don't we just print something out directly?" Starkweather said. "But when I flew that past my boss he thought it was the most brain-dead idea he had ever heard. He basically told me to find something else to do. The feeling was that lasers were too expensive. They didn't work that well. Nobody wants to do this, computers aren't powerful enough. And I guess, in my na�vet�, I kept thinking, He's just not right - there's something about this I really like. It got to be a frustrating situation. He and I came to loggerheads over the thing, about late 1969, early 1970. I was running my experiments in the back room behind a black curtain. I played with them when I could. He threatened to lay off my people if I didn't stop. I was having to make a decision: do I abandon this, or do I try and go up the ladder with it?" Then Starkweather heard that Xerox was opening a research center in Palo Alto, three thousand miles away from its New York headquarters. He went to a senior vice-president of Xerox, threatening to leave for IBM if he didn't get a transfer. In January of 1971, his wish was granted, and, within ten months, he had a prototype up and running. "There was still a tremendous amount of opposition from the Webster group, who saw no future in computer printing," he went on. "They said, 'IBM is doing that. Why do we need to do that?' and so forth. Also, there were two or three competing projects, which I guess I have the luxury of calling ridiculous. One group had fifty people and another had twenty. I had two." Starkweather picked up a picture of one of his in-house competitors, something called an "optical carriage printer." It was the size of one of those modular Italian kitchen units that you see advertised in fancy design magazines. "It was an unbelievable device," he said, with a rueful chuckle. "It had a ten-inch drum, which turned at five thousand r.p.m., like a super washing machine. It had characters printed on its surface. I think they only ever sold ten of them. The problem was that it was spinning so fast that the drum would blow out and the characters would fly off. And there was only this one lady in Troy, New York, who knew how to put the characters on so that they would stay. "So we finally decided to have what I called a fly-off. There was a full page of text - where some of them were non-serif characters, Helvetica, stuff like that - and then a page of graph paper with grid lines, and pages with pictures and some other complex stuff - and everybody had to print all six pages. Well, once we decided on those six pages, I knew I'd won, because I knew there wasn't anything I couldn't print. Are you kidding? If you can translate it into bits, I can print it. Some of these other machines had to go through hoops just to print a curve. A week after the fly-off, they folded those other projects. I was the only game in town." The project turned into the Xerox 9700, the first high-speed, cut-paper laser printer in the world. In one sense, the Starkweather story is of a piece with the Steve Jobs visit. It is an example of the imaginative poverty of Xerox management. Starkweather had to hide his laser behind a curtain. He had to fight for his transfer to PARC. He had to endure the indignity of the fly-off, and even then Xerox management remained skeptical. The founder of PARC, Jack Goldman, had to bring in a team from Rochester for a personal demonstration. After that, Starkweather and Goldman had an idea for getting the laser printer to market quickly: graft a laser onto a Xerox copier called the 7000. The 7000 was an older model, and Xerox had lots of 7000s sitting around that had just come off lease. Goldman even had a customer ready: the Lawrence Livermore laboratory was prepared to buy a whole slate of the machines. Xerox said no. Then Starkweather wanted to make what he called a photo-typesetter, which produced camera-ready copy right on your desk. Xerox said no. "I wanted to work on higher-performance scanners," Starkweather continued. "In other words, what if we print something other than documents? For example, I made a high-resolution scanner and you could print on glass plates." He rummaged in one of the boxes on the picnic table and came out with a sheet of glass, roughly six inches square, on which a photograph of a child's face appeared. The same idea, he said, could have been used to make "masks" for the semiconductor industry - the densely patterned screens used to etch the designs on computer chips. "No one would ever follow through, because Xerox said, 'Now you're in Intel's market, what are you doing that for?' They just could not seem to see that they were in the information business. This" - he lifted up the plate with the little girl's face on it - "is a copy. It's just not a copy of an office document." But he got nowhere. "Xerox had been infested by a bunch of spreadsheet experts who thought you could decide every product based on metrics. Unfortunately, creativity wasn't on a metric." A few days after that afternoon in his back yard, however, Starkweather e-mailed an addendum to his discussion of his experiences at PARC. "Despite all the hassles and risks that happened in getting the laser printer going, in retrospect the journey was that much more exciting," he wrote. "Often difficulties are just opportunities in disguise." Perhaps he felt that he had painted too negative a picture of his time at Xerox, or suffered a pang of guilt about what it must have been like to be one of those Xerox executives on the other side of the table. The truth is that Starkweather was a difficult employee. 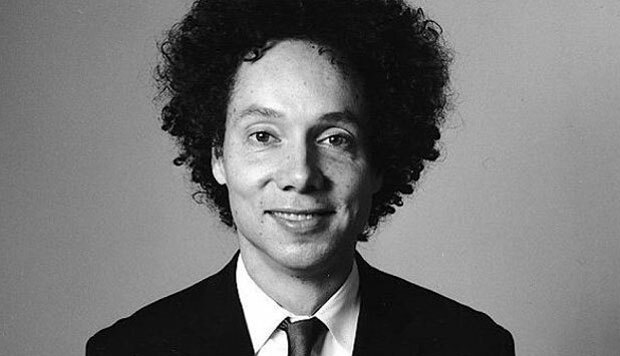 It went hand in hand with what made him such an extraordinary innovator. When his boss told him to quit working on lasers, he continued in secret. He was disruptive and stubborn and independent-minded - and he had a thousand ideas, and sorting out the good ideas from the bad wasn't always easy. Should Xerox have put out a special order of laser printers for Lawrence Livermore, based on the old 7000 copier? In "Fumbling the Future: How Xerox Invented, Then Ignored, the First Personal Computer" (1988) - a book dedicated to the idea that Xerox was run by the blind - Douglas Smith and Robert Alexander admit that the proposal was hopelessly impractical: "The scanty Livermore proposal could not justify the investment required to start a laser printing business.. How and where would Xerox manufacture the laser printers? Who would sell and service them? Who would buy them and why?" Starkweather, and his compatriots at Xerox PARC, weren't the source of disciplined strategic insights. They were wild geysers of creative energy. The psychologist Dean Simonton argues that this fecundity is often at the heart of what distinguishes the truly gifted. The difference between Bach and his forgotten peers isn't necessarily that he had a better ratio of hits to misses. The difference is that the mediocre might have a dozen ideas, while Bach, in his lifetime, created more than a thousand full-fledged musical compositions. A genius is a genius, Simonton maintains, because he can put together such a staggering number of insights, ideas, theories, random observations, and unexpected connections that he almost inevitably ends up with something great. "Quality," Simonton writes, is "a probabilistic function of quantity." Simonton's point is that there is nothing neat and efficient about creativity. "The more successes there are," he says, "the more failures there are as well" - meaning that the person who had far more ideas than the rest of us will have far more bad ideas than the rest of us, too. This is why managing the creative process is so difficult. The making of the classic Rolling Stones album "Exile on Main Street" was an ordeal, Keith Richards writes in his new memoir, because the band had too many ideas. It had to fight from under an avalanche of mediocrity: "Head in the Toilet Blues," "Leather Jackets," "Windmill," "I Was Just a Country Boy," "Bent Green Needles," "Labour Pains," and "Pommes de Terre" - the last of which Richards explains with the apologetic, "Well, we were in France at the time." I watched Mick write the lyrics.. He wrote it down as fast as he could move his hand. I'd never seen anything like it. He had one of those yellow legal pads, and he'd write a verse a page, just write a verse and then turn the page, and when he had three pages filled, they started to cut it. It was amazing. Richards goes on to marvel, "It's unbelievable how prolific he was." Then he writes, "Sometimes you'd wonder how to turn the tap off. The odd times he would come out with so many lyrics, you're crowding the airwaves, boy." Richards clearly saw himself as the creative steward of the Rolling Stones (only in a rock-and-roll band, by the way, can someone like Keith Richards perceive himself as the responsible one), and he came to understand that one of the hardest and most crucial parts of his job was to "turn the tap off," to rein in Mick Jagger's incredible creative energy. The more Starkweather talked, the more apparent it became that his entire career had been a version of this problem. Someone was always trying to turn his tap off. But someone had to turn his tap off: the interests of the innovator aren't perfectly aligned with the interests of the corporation. Starkweather saw ideas on their own merits. Xerox was a multinational corporation, with shareholders, a huge sales force, and a vast corporate customer base, and it needed to consider every new idea within the context of what it already had. Xerox's managers didn't always make the right decisions when they said no to Starkweather. But he got to PARC, didn't he? And Xerox, to its great credit, had a PARC - a place where, a continent away from the top managers, an engineer could sit and dream, and get every purchase order approved, and fire a laser across the Foothill Expressway if he was so inclined. Yes, he had to pit his laser printer against lesser ideas in the contest. But he won the contest. And, the instant he did, Xerox cancelled the competing projects and gave him the green light. "I flew out there and gave a presentation to them on what I was looking at," Starkweather said of his first visit to PARC. "They really liked it, because at the time they were building a personal computer, and they were beside themselves figuring out how they were going to get whatever was on the screen onto a sheet of paper. And when I showed them how I was going to put prints on a sheet of paper it was a marriage made in heaven." The reason Xerox invented the laser printer, in other words, is that it invented the personal computer. Without the big idea, it would never have seen the value of the small idea. If you consider innovation to be efficient and ideas precious, that is a tragedy: you give the crown jewels away to Steve Jobs, and all you're left with is a printer. But in the real, messy world of creativity, giving away the thing you don't really understand for the thing that you do is an inevitable tradeoff. "When you have a bunch of smart people with a broad enough charter, you will always get something good out of it," Nathan Myhrvold, formerly a senior executive at Microsoft, argues. "It's one of the best investments you could possibly make - but only if you chose to value it in terms of successes. If you chose to evaluate it in terms of how many times you failed, or times you could have succeeded and didn't, then you are bound to be unhappy. Innovation is an unruly thing. There will be some ideas that don't get caught in your cup. But that's not what the game is about. The game is what you catch, not what you spill." In the 1990s, Myhrvold created a research laboratory at Microsoft modelled in part on what Xerox had done in Palo Alto in the nineteen-seventies, because he considered PARC a triumph, not a failure. "Xerox did research outside their business model, and when you do that you should not be surprised that you have a hard time dealing with it - any more than if some bright guy at Pfizer wrote a word processor. Good luck to Pfizer getting into the word-processing business. Meanwhile, the thing that they invented that was similar to their own business - a really big machine that spit paper out - they made a lot of money on it." And so they did. Gary Starkweather's laser printer made billions for Xerox. It paid for every other single project at Xerox PARC, many times over. In 1985, Starkweather got a call from the head of one of Xerox's competitors, trying to lure him away. It was someone whom he had met years ago. "The decision was painful," he said. "I was a year from being a twenty-five-year veteran of the company. I mean, I'd done enough for Xerox that unless I burned the building down they would never fire me. But that wasn't the issue. It's about having ideas that are constantly squashed. So I said, 'Enough of this,' and I left." He had a good many years at his new company, he said. It was an extraordinarily creative place. He was part of decision-making at the highest level. "Every employee from technician to manager was hot for the new, exciting stuff," he went on. "So, as far as buzz and daily environment, it was far and away the most fun I've ever had." But it wasn't perfect. "I remember I called in the head marketing guy and I said, 'I want you to give me all the information you can come up with on when people buy one of our products - what software do they buy, what business are they in - so I can see the model of how people are using the machines.' He looked at me and said, 'I have no idea about that.' " Where was the rigor? Then Starkweather had a scheme for hooking up a high-resolution display to one of his new company's computers. "I got it running and brought it into management and said, 'Why don't we show this at the tech expo in San Francisco? You'll be able to rule the world.' They said, 'I don't know. We don't have room for it.' It was that sort of thing. It was like me saying I've discovered a gold mine and you saying we can't afford a shovel." He shrugged a little wearily. It was ever thus. The innovator says go. The company says stop - and maybe the only lesson of the legend of Xerox PARC is that what happened there happens, in one way or another, everywhere. By the way, the company that couldn't afford a shovel? Its name was Apple. Gary Starkweather joined Apple after Steve Jobs had left the company.